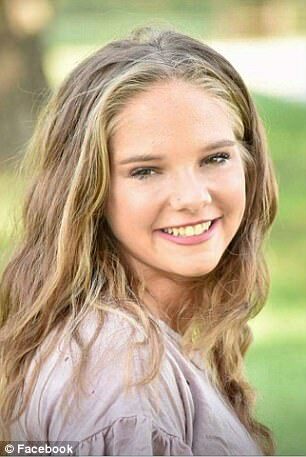 The family of a 15-year-old girl who has been missing since Sunday fear she may be with a much older man she met on Snapchat. 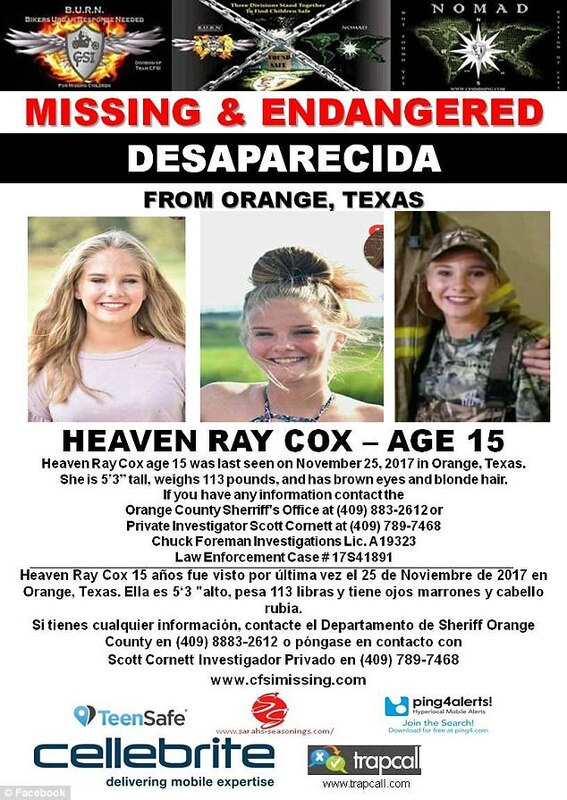 Heaven Ray Cox from Mauriceville, Texas vanished on Saturday afternoon. Her parents said it was usual for the teenager to sleep in late at the weekend, but when they went to check on her she was gone. 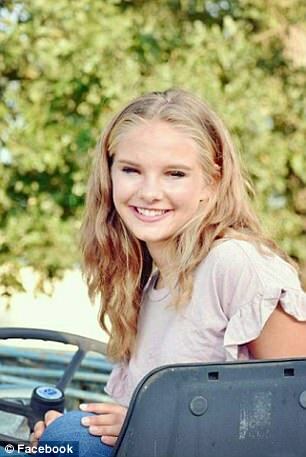 They now fear she may have been abducted or ran away by a man she met on social media, the Beaumont Enterprise reports. Heaven's mother, Tammy, has posted on Facebook about her daughter's disappearance. She wrote: 'The man she has been talking to is a predator, who has apparently been manipulating her for some time, and in her current state of mind, she believes that he is her friend. 'She left a goodbye note to me and her Dad, and said that she wouldn't have a phone, so I'm sure he has taken it from her, as it isn't here, and I have torn her room apart. She is off her meds and is in a manic phase of bipolar disorder. 'I am asking everyone to share this to their wall, and particularly those who live in California and every state between there and Texas. San Antonio is about 4.5 hours by car from Mauriceville. Police say that a note indicates Heaven might have been heading to California. Tammy also wrote earlier tonight that Heaven's passport was missing. Previously, Tammy wrote that Heaven suffers from bipolar disorder and might be off her medication.